This is definitely not your cookie cutter house (enter elf joke here). This amazing, small house is literately in the trees, sitting 12 – 15′ off the ground. Constructed and finished with recycled materials, read the story here. 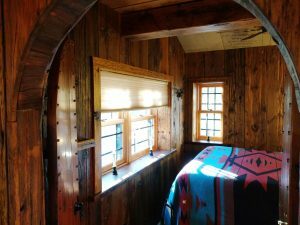 Or better yet, spend a couple nights in it. Check out the Air B&B listing here. We had the opportunity to install some cordless honeycomb shades in a very unique house. 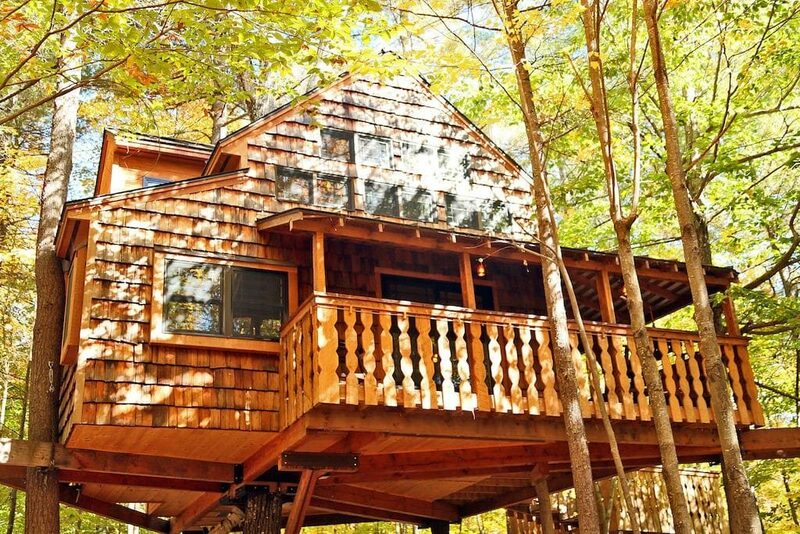 This amazing tree house in Newbury, NH. This entry was posted in SSB Gallery. Bookmark the permalink.